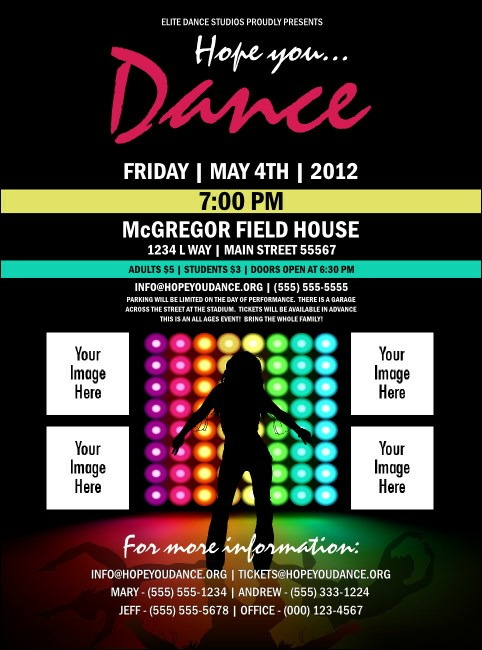 Promote your next dance recital with the hot Stage Lights Flyer. Bright, colorful lights showcase the silhouette of a dancer, while four custom images allow you to highlight your own dancers or sponsors. Sixteen lines of your information stand out on this gorgeous template. Browse TicketPrinting.com's gallery of templates for more beautiful designs!